Have you ever wondered how companies that put on trade shows are able to move all of their things from one location to another without requiring a bit of magic to get it done? Moving logistics, with a professional moving company that specializes in trade show moving services in MA, can get the job done. Whether your company is in charge of setting up the entire show or if you are just responsible for setting up a single booth, Conlon Moving & Storage can coordinate the entire move for you, get everything set up and then break it down and move it again. Through the use of a mobile storage company in MA, we can even store your exposition items until you need to use them again in the future for another event. It can cost a lot of money to purchase or build an exhibit to be used for industry events. Whether your business is product or service based, chances are good that you have a lot of things that need to moved and set up at each trade show location. Working with a professional moving company can help you to protect that investment and make sure that nothing happens to it during transportation. A partnership with local Connecticut movers and trade show moving services in MA, CT or RI, can help you to reduce costs associated with moving your exhibit from location to location. Other advantages to using moving logistics for trade show exhibits is making sure that all of your items get from point A to point B. If you were to try and pack up all your things, store them at your office warehouse and them move them to each stop on the trade show circuit throughout the year, not only would you likely have to hire dedicated employees to take care of it for you, but you would also need to make sure that everything arrived at the destination as scheduled without forgetting and leaving anything important behind. Arriving at the trade show without your tables and stands for brochures or without the special carpeting and seating that you ordered, would wreck havoc with the entire setup and diminish the plan that you had for the show. When you hire a professional moving company like Conlon Moving & Storage to provide you with trade show moving services in MA or anywhere else in the northeastern states, you not only get someone to move your stuff, but you also gain the insight, knowledge and experience of a team that does this for a living. Instead of guessing when your things might arrive at the next expo hall, you can know with great certainty that the moving logistics team will have your things there on a prescribed date and time, with everything arriving in perfect condition. By keeping the pieces and parts of your architectural structure, furniture and other parts for your trade show booth in our mobile storage company in MA, we are able to put your things away for you, store them and then take them out to ship them again in the future as they are needed. If anything else is to be added to the trade show setup, clients can contact the Connecticut movers and have the new pieces added to the storage for inclusion. That way, everything ships at the same time, arrives at the same time and nothing gets left behind. 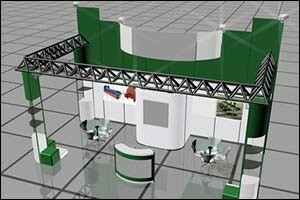 It is important to only hire a moving company that has experience working with moving logistics for trade shows. While there are logistics services for commercial businesses, specialty businesses and other types of professional services, it is essential that the movers have an inside knowledge of trade shows and how they work. For example, some expo halls have restrictions on how things can be transported, delivered and setup at the facility. Permits can be required and there many be restrictions on whether union or non-union employees can handle the goods. When you work with Conlon Moving & Storage, you can rest assured that our team knows the ins and outs of trade show moving services in MA, CT, RI and beyond. If you are in the market for a professional moving company to take care of your moving logistics for trade show moving services in MA or any other type of corporate moving services, look no further than Conlon Moving & Storage. Our company was founded in 1885, so we have over 100 years of experience providing services to commercial and residential clients throughout the northeastern states that help us to provide you with the quality services you require. In addition to being Massachusetts, Rhode Island and Connecticut movers, we can also help with cross-country and international moves, and are also a mobile storage company in MA for many of our clients. Give us a call at 508-336-7766 to schedule an appointment with our moving logistics team or to get a free estimate on any of our services.